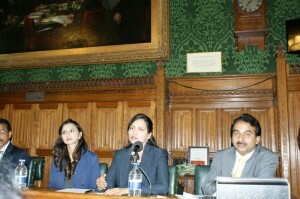 Following the successful hosting of various business meets over the years, BSICC hosted its flagship annual business meet, UK South India Business Meet 2014 at British Parliament, London on 10th July 2014. 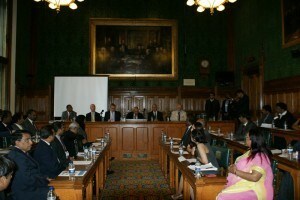 The business meet had Lord Swraj Paul as special guest and was chaired by Mr Virendra Sharma MP, Patron of BSICC. 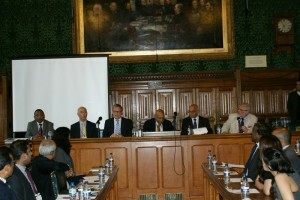 The audience included representatives from South Indian states including Andhra Pradesh, Karnataka, Kerala, Puducherry, Tamil Nadu and Telangana, Members of House of Lords & House of Commons, representatives from other Indian states/ other countries etc. The business meet commenced with Mr.Virendra Sharma MP starting the proceedings and formally welcoming the delegates. 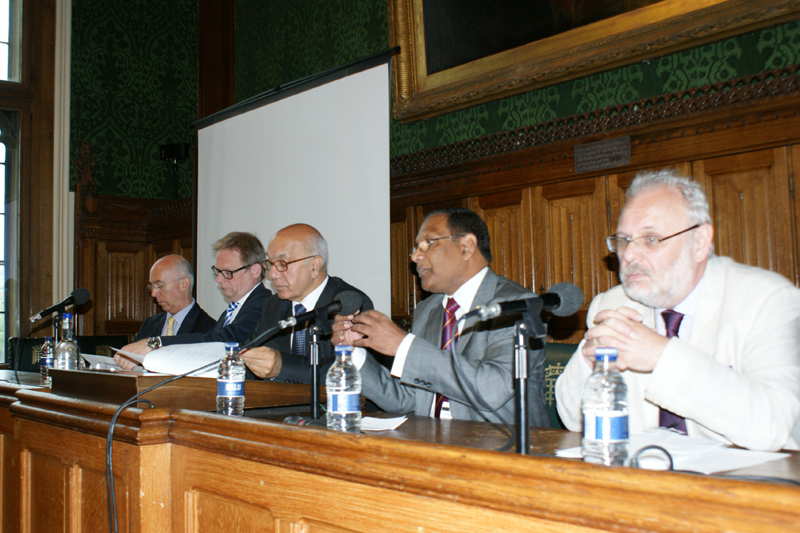 Following this Mr.Philip Abraham, BSICC Vice Chair – Kerala provided a brief overview of BSICC and its activities. Mr.Alister Jones, Deputy Director – Global Operations at UKTI’ Investment Group gave an overview on how UKTI supports overseas companies to invest and grow in the UK. 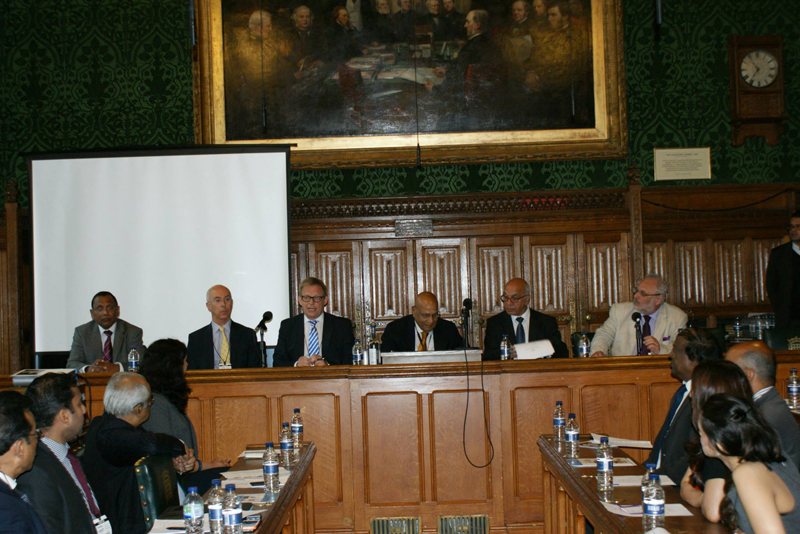 Mr.Mike Knowles, who is part of British Business Group, Delhi spoke about the Lessons that India can learn from the UK of 1964 in his talk titled “India 2014 – UK 1964.. Lessons to be learnt”. 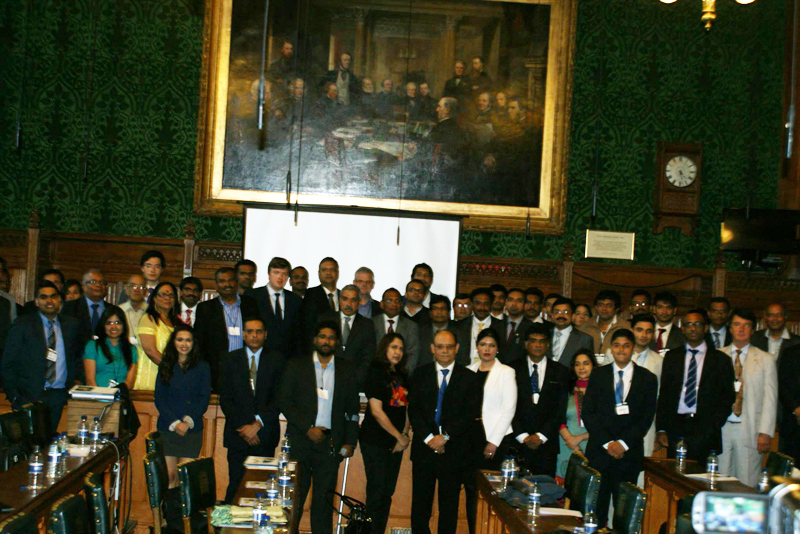 Mr. Bradley Starr, Founder of Bizantra.com, who has extensive experience in pursuing cross cultural business activities between UK and India offered his perspective on what is required to successful pursue IT business between UK and India. Mr.Srinivas Rao Jalakkam, BSICC Vice Chair for Andhra Pradesh and Telangana & Mr.Radhakishore Pandrangi, who was Office Director of US Commercial Service in Hyderabad spoke about various opportunities in Andhra Pradesh and Telangana. Promising Telugu actor Mr.Rahul Venkat, who also happens to be the first cousin of Telugu movie Superstars Mr.Chiranjeev and Mr.Pawan Kalyan, provided insights into the business opportunities available in the Telugu film industry. 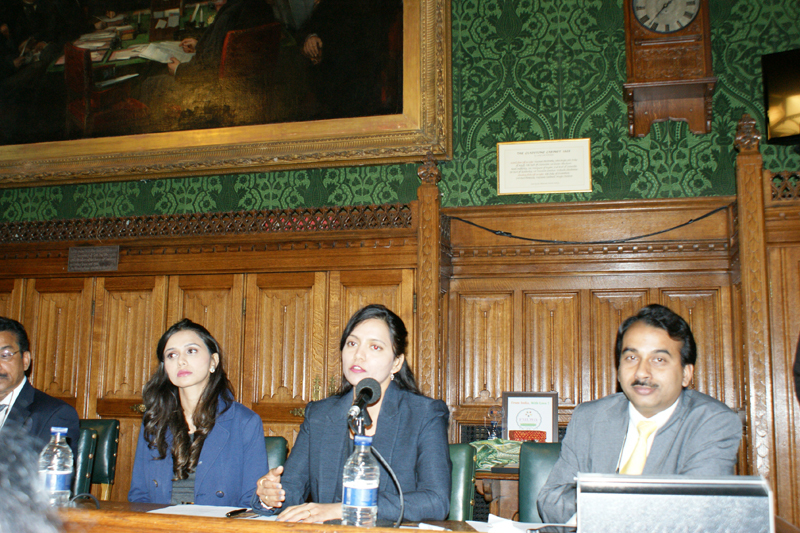 Noted journalist Ms.Rani Singh, a BBC Broadcaster, delved deeper into PR and Media relationships that are required for Indian companies in UK. Julian Marwitz, CEO of Arineos UG, spoke about “Affordable housing and energy efficiency – smarter ways for housing”. Mr.Salman Ahmed, Presidency college, Bangalore spoke about Educational Opportunities in Karnataka. Prof. Dr. K.P. Haridas, Chairman and Managing Director, Lords Hospitals, Kerala talked about New model in Healthcare relevant to South India. Mr.Akash Nahar, Director, YesWeCan Foundation, Bangalore spoke in detail about Making Impactful Social Investments in South India. Mr.Sowri Manoharan, Ms.Priya Shah and Ms.Aneesha Ramani from UKTNCC spoke about the Business opportunities in Tamil Nadu. Mr.Jayant Nadiger & Mr. Filippe De Potter from Belgium investment and trade body took a bi-thematic approach for their talk titled “Karnataka, gateway to India – Belgium, gateway to continental Europe”. Dr. Kurinjivenden of Bharathidasan Govt College, Pondicherry Central University spoke about Business Opportunities in Puducherry. Mr.Harish Haridas, a serial entrepreneur from Kerala, spoke about Business Opportunities in Kerala. BSICC Director Mr.Pius John spoke about Ongoing and Upcoming mega projects in Kerala. Noted singer from Kerala, Franco, also interacted with the audience. 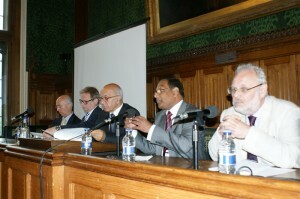 Mr.Jacob Ravibalan, BSICC Vice Chair – Tamil Nadu delivered the vote of thanks. Mr.Sujit S Nair, the Chief Co Ordinator / Director of B.S.I.C.C played the role of the anchor for the event. During the business meet, BSICC celebrated the achievements of few individuals and organisations from South India who have not only made a huge difference to the lives of the people in the South India states but have also contributed to the economic development of their respective states. Prof. Dr. K.P. 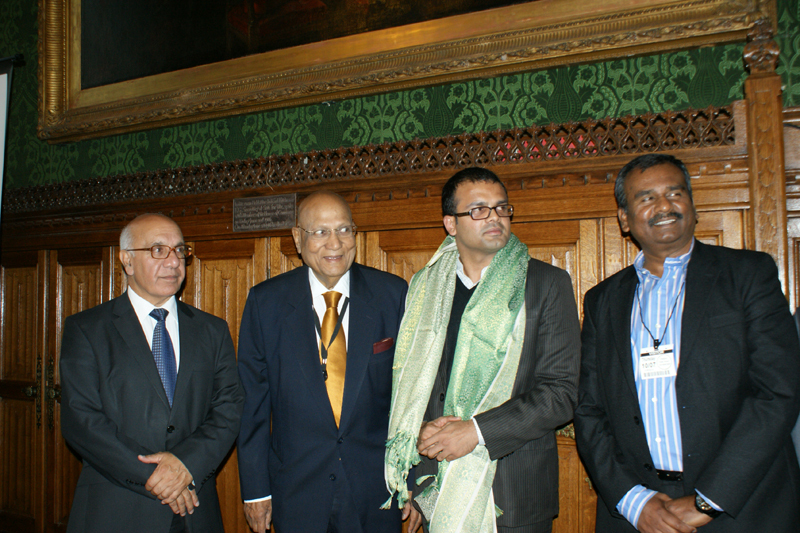 Haridas, Chairman and Managing Director, Lords Hospitals was honoured with “Lifetime Achievement Award”. Presidency Group of Institutions was honoured with “Most Promising Education Institute” for their amazing work in the field of education. Noted dancer Tony Vanchinthanam was honoured with Young Talent Award. Dr. Paresh Rughani gave a motivational speech towards the end of the meeting that was welcomed by everyone who attended the meeting. 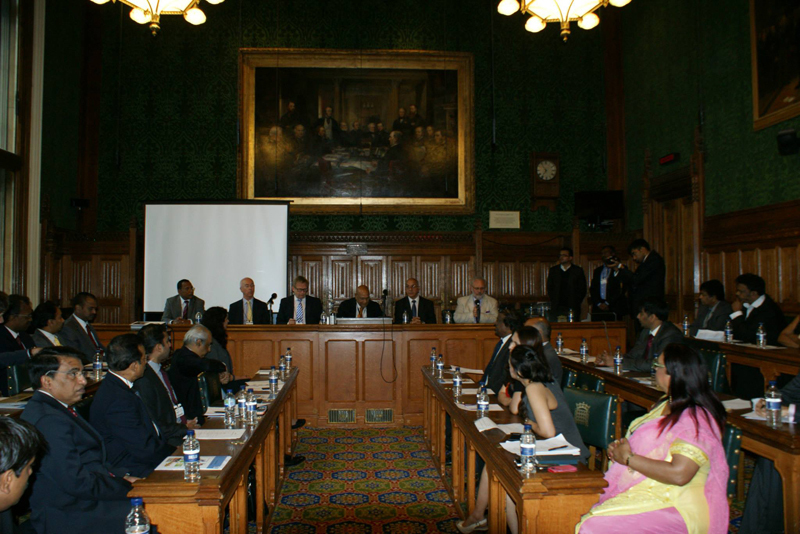 As background, BSICC is an umbrella body of South Indian communities in UK, formed with the intention to raise UK companies awareness to enormous potential opportunities in the South Indian states and encourage them to trade and invest in South Indian States. BSICC mission is to promote trade and investment between South India and the UK, and to provide a platform for companies and businessmen who wish to become part of the South India- U.K trade community. BSICC promote and defend the interests of UK companies in South India, representing UK businesses to the state governments of Andhra Pradesh, Karnataka, Kerala, Pondicherry, Tamil Nadu and also to the Indian audiences and the Indian media.Encouraged by the positive upturn and the success achieved so far, BSICC would like to invite you to join us and benefit from the endless networking and business growth possibilities.